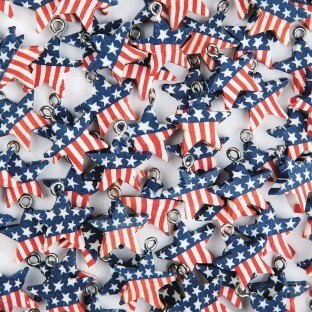 American flag star beads 100 per bag. Beads are 17mm with 2mm hole. 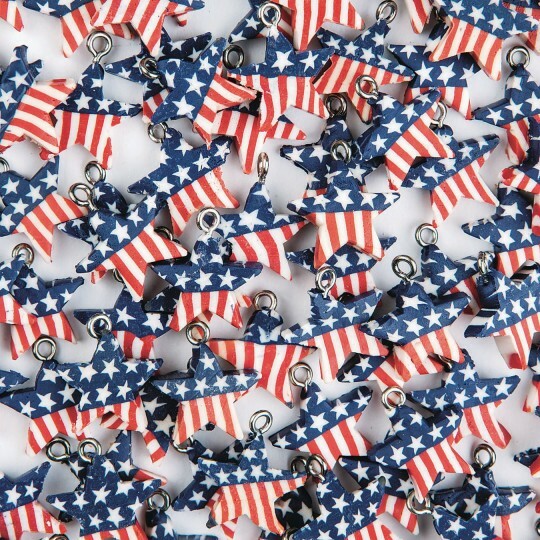 American flag star beads 100 per bag. Beads are 17mm with a 2mm hole. Made of polymer clay. Easy to use for craft or decoration. I used to make a number of beaded projects and they worked out very well. I would order again especially if I can get a larger quantity. Kids' bracelets necklaces adult earrings. 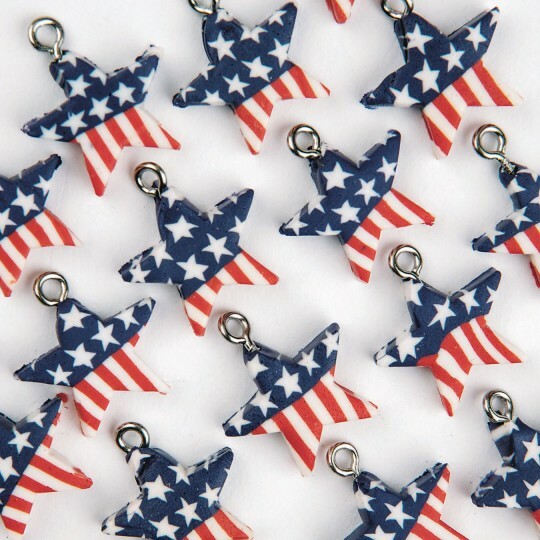 This product is used to make jewelry to raise money for Honor Flight a nonprofit that flies WWII veterans to Washington D.C. to see the memorial created for them 60 years after their service. The stars are unique and are used to make earrings. The polymer clay makes it easy for some to get misshapen and discolored and it's tough to put the screws in without cracking or breaking off the bead.